The most popular variant of wild-card video poker is Deuces Wild. As the name suggests, all two’s or deuces are wild cards and can be used as any card. As a result, it is a lot easier to get high ranking hands. To get a payout, make a hand of Three of a Kind. The game is played like all the other video poker variants, but you need a special strategy to hit the highest ranking hands. Continue reading to learn more about the key features of Deuces Wild, a couple of winning tips and where to play the game on the Internet. 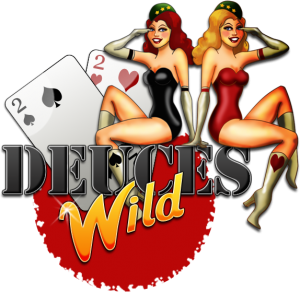 Deuces Wild is played the same as playing any online poker game. First, you have to select your stake level and choose how many coins you wish to bet. Then you will be dealt an initial hand. Using the best strategy, choose which cards to keep and which ones to discard. You will then be dealt a final hand and be paid according to the pay table. 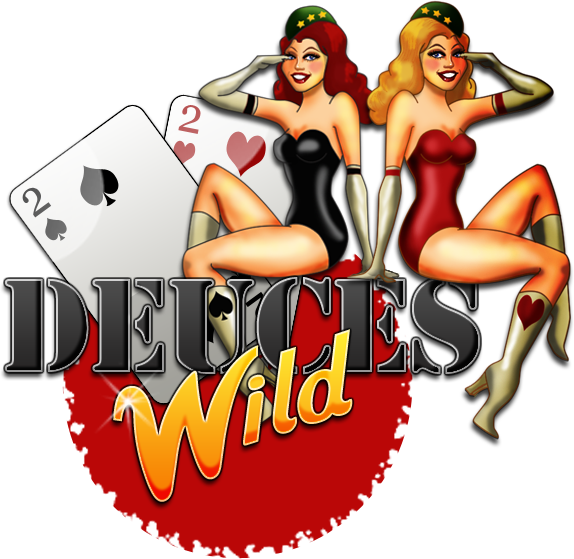 Deuces Wild is a fun version of online poker but with a twist. All deuces (two’s) cards are treated as wild cards and players have more winning combinations. The game is played with one deck of playing cards. Doubling: You can double your winnings after each winning hand. You are given four face-down cards to choose from, while the dealer is given one face up card. If your chosen card is lower than the dealer’s card, you lose your original bet. If it is higher, then you double your original win amount. Practice skills and strategies in play-for-fun mode. If you have two pair on your initial hand, keep only one because two pair doesn’t pay out. Four to an inside straight flush is better than a made straight/ flush so you should draw to a straight flush. Four to a royal flush is better than a made straight flush/ four of a kind so go for the royal flush payout. Bet the maximum number of coins to have more chances of winning. WHAT DEUCES WILD VIDEO POKER GAMES CAN I PLAY ONLINE? Deuces Wild can be played at Ladbrokes Casino by Playtech. The casino is run by one of the leading gaming companies and it is licensed by the Government of Gibraltar. Ladbrokes Casino has excellent bonus program, offers many banking options and it has responsive customer support. If you reside in the United States, you can play Deuces Wild at Sun Palace Casino run by Real Time Gaming. The casino is established in 2004 and licensed in Curacao. High Noon Casino offers daily, weekly and monthly bonuses to boost your bankroll and it uses the best security measures. Deuces Wild is an excellent high-paying video poker variant that has wild cards. With proper strategy moves and a bit of luck players can hit the big payouts and they can also double their winnings if they want to. It is always advisable to check the game in free mode before playing with real cash.